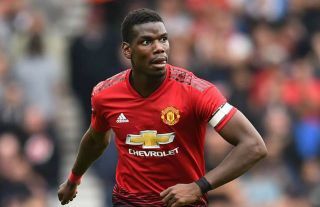 Man Utd ace Paul Pogba has revealed that the defeat to Tottenham at Old Trafford on Monday night was a shock for him given he thought they played well. The Red Devils suffered a 3-0 defeat to Spurs as they failed to produce a positive reaction after their loss at Brighton last weekend. In turn, the pressure is mounting on Jose Mourinho and his players to get back on track as quickly as possible, as with each setback and defeat, they could be losing crucial early ground on their Premier League title rivals with both Man City and Liverpool making positive starts. Pogba though seemingly believes that Man Utd deserved more from the game against Tottenham and the scoreline isn’t a fair reflection but has now urged his teammates and the club to remain positive and start getting the right results as soon as possible. “Even we don’t understand what happened,” he said, as quoted by The Mirror. “I think it was an undeserved defeat for us, in our desire, in everything we put into it. But football can be cruel. We just have to bounce back. “It won’t be easy, but it’s just the start of the season. It’s bizarre. Today, we were determined, we started well, and in the end we lost 3-0. It’s a shock. In fairness, it was a much-improved display compared to that seen against Brighton, and so with Mourinho adopting a similar assessment, there are positives that can be taken from Monday night. Nevertheless, the results are what matter and so Pogba along with his teammates will have to step up and respond in the right way against Burnley this weekend, otherwise the pressure will only continue to build and tension will rise if expectations aren’t met.